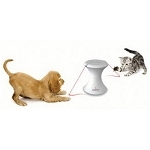 The FroliCat Bolt Interactive Toy is laser fun for dogs and cats. 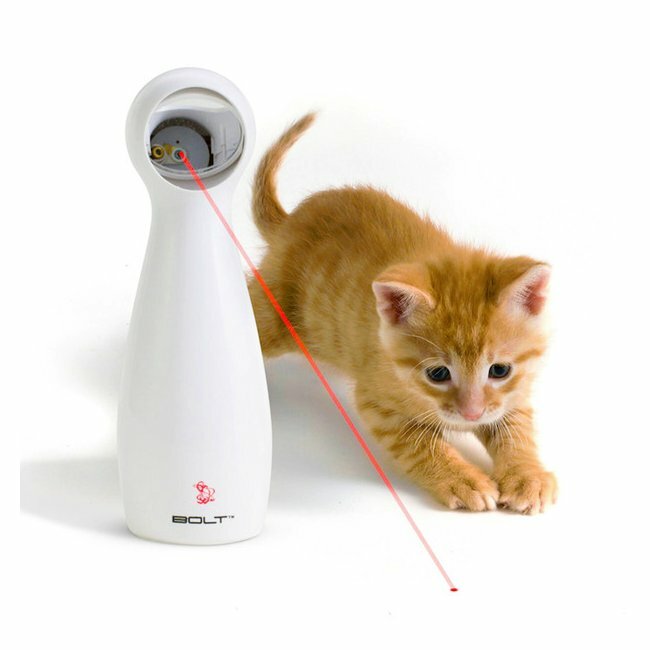 Endlessly entertain even the laziest pet with automatically-generated red laser patterns. 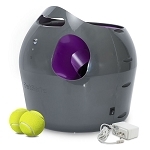 Simply hold BOLT in your hand or place it on a flat surface, turn it on and watch your pet pounce, chase, and bat at the thrilling laser patterns. Use it in automatic mode where it generates random patters or in manual mode where you can control the experience. The laser automatically turns off after 15 minutes in either mode and also includes a manual on-off switch. Requires 4 AA batteries (not included). My kitty is deaf so all the cute toys that rattle and crinkle do nothing for him. He LOVES this laser beam toy! Loves it! This is my second one and it is even better than the first. It is more quiet! The only reason I needed a second one was because he knocked it off the shelf and broke the mirror inside. Both of my cats love this. If i don't turn it on before going to bed, they just sit and stare at me until I do turn it in. Very quiet and keeps the cat occupied. I work at home and it helps to keep the assistants happy. My cat is supper energetic and playing is the most important way for her to communicate with me. For about two minutes it was interesting for her but after that she wanted to play WITH me. When i move the toy by my hand, she likes to play with that and that's it. If your cat is a normal cat, he/she will live it although the light is a little bizarre because of mirror.